I like it very much and want to switch over to this new version for my website, hate flash! But I can't get the embed code to work! Chat had been deleted and now they created a new one. Remember, to embed it, click on the ''Embed'' button in the bottom left corner of the chat and change the size as you like. You can get your CHATID using this generator. Just replace it in the link. Note: Do not check the box "use FLASH" when generating the embed code. 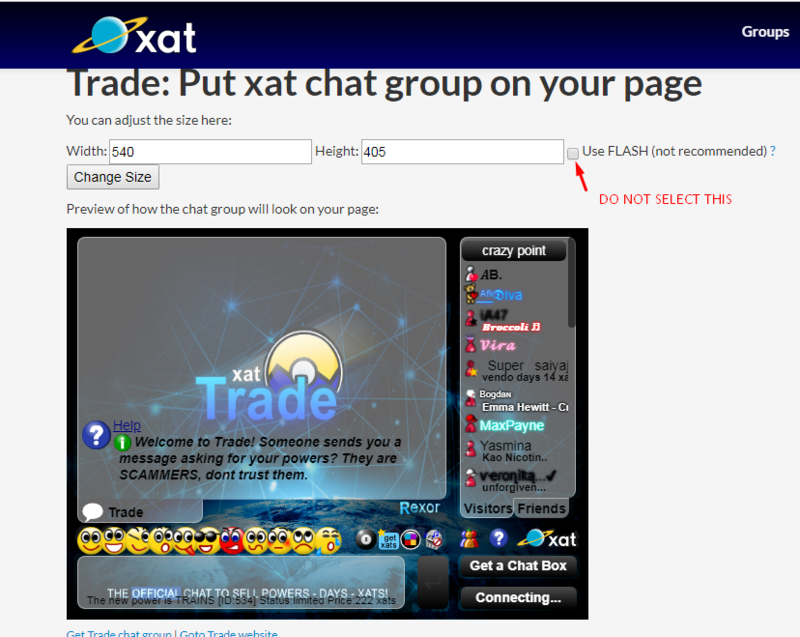 Access your chat room from flash to be able open embed page. I think it's selected as default to HTML5 version, but you can change to flash if you want. Just change chat size and get the code for your site.